I reviewed a similar book a couple months ago, but this is a really even better read about being what the Heidelberg Catechism calls "a living member of" the church. Wayne A. Mack and Dave Swavely write from a Presbyterian perspective on how you and I can build up our local congregation. They deal with, first, realizing the importance of the local church and therefore committing ourselves to church membership, basing their argument on the Bible's stress on the local church, and quoting Chapter XXV of the Westminster Confession, Jay Adams, and Charles Spurgeon. After nailing down these foundational issues, they deal with how to choose a good church, expounding the importance of such traits as devotion to the apostles' teaching, a God-centered focus, and a loving concern for the needs of people (including the need for church discipline). The traits they enumerate fit very closely with the Belgic Confession's list of the marks of the true church. 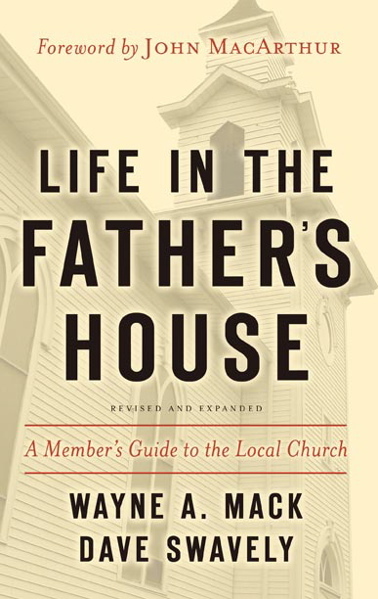 If you think that Mack and Swavely can show you how to live a fruitful, God-glorifying life in the Father's house, you can find it here for US readers, and here in Canada.